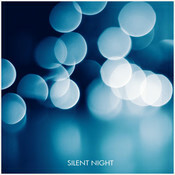 Treat yourself this Christmas and play "Silent Night" the famous Austrian Christmas carol composed by Franz Xaver Guber in 1818. 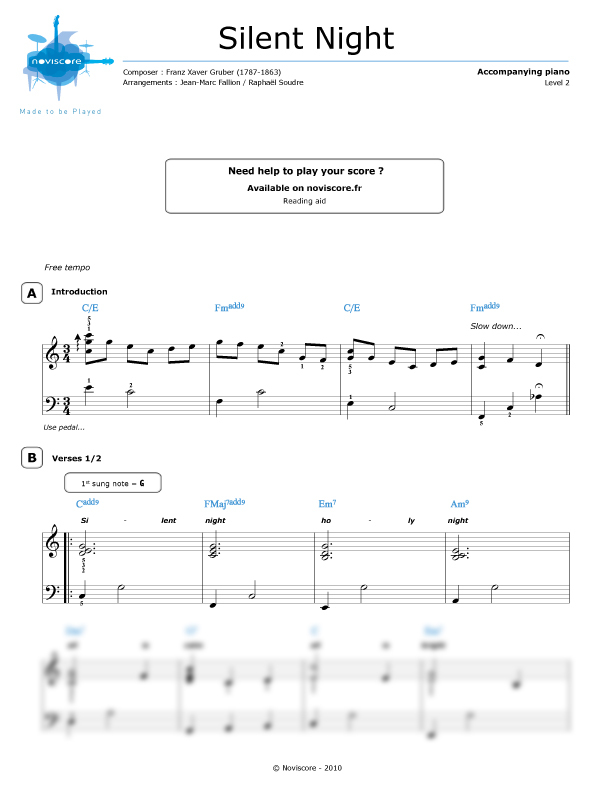 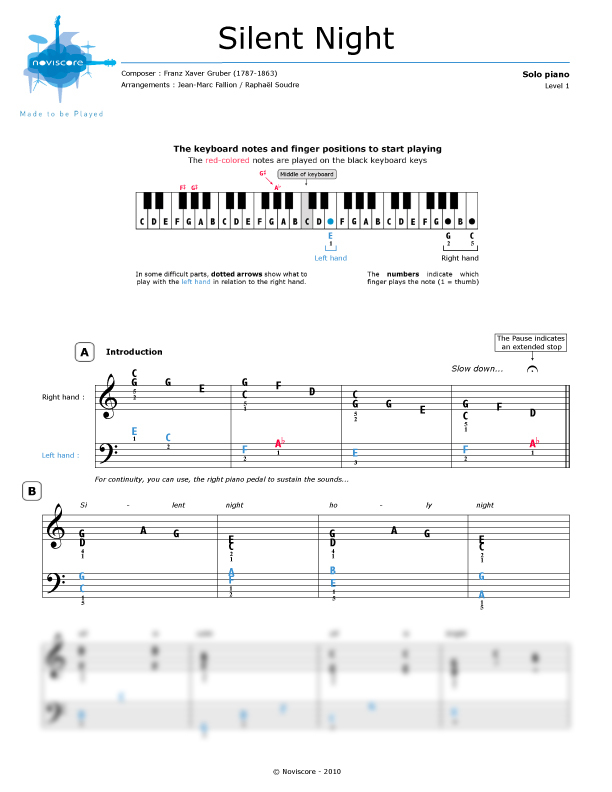 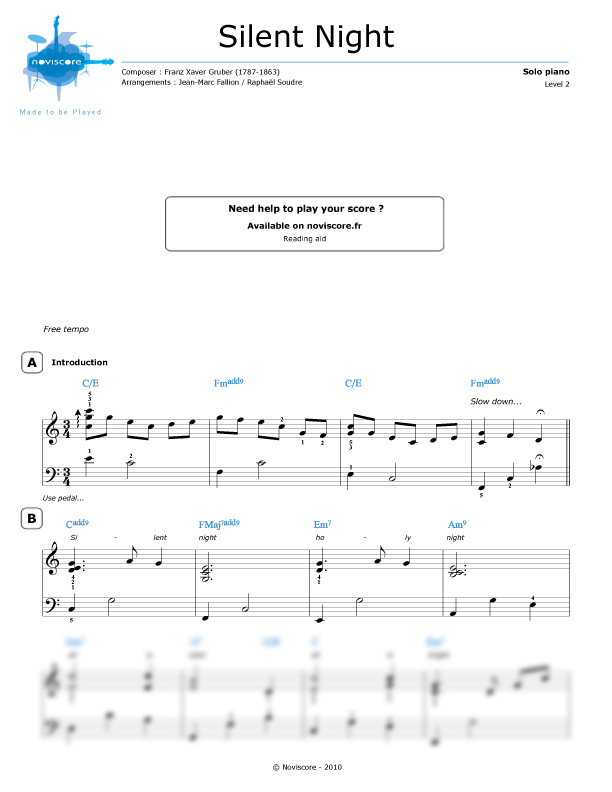 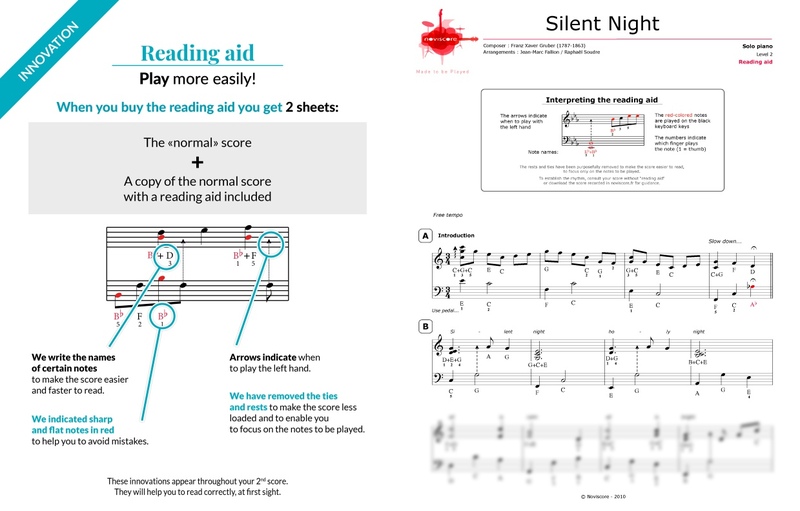 Our piano sheet music is available in 3 different levels of difficulty so that you choose the music sheets best suited to your playing ability, for piano solo or piano accompaniment. 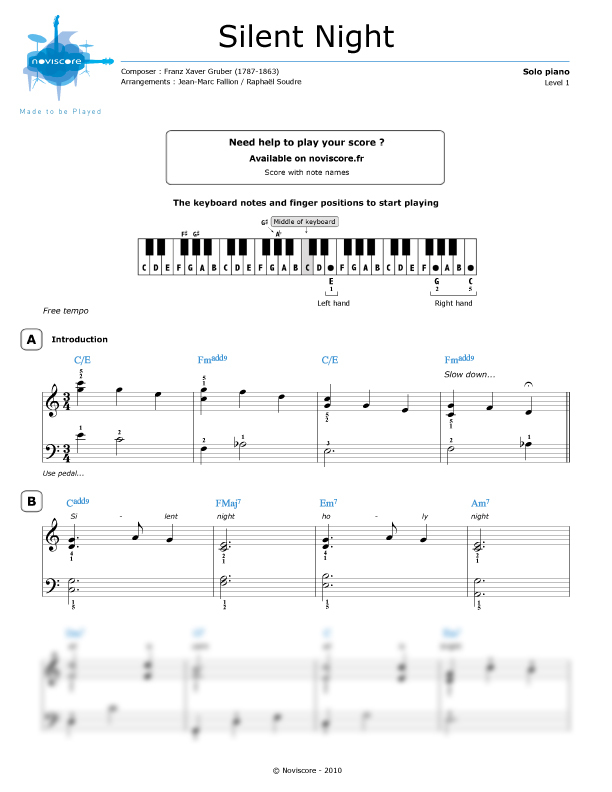 Beginners can even find 2 versions (Level 1) of easy piano music, one with traditional notes and the other, for those who have trouble reading music, where the symbols are replaced by the note names. 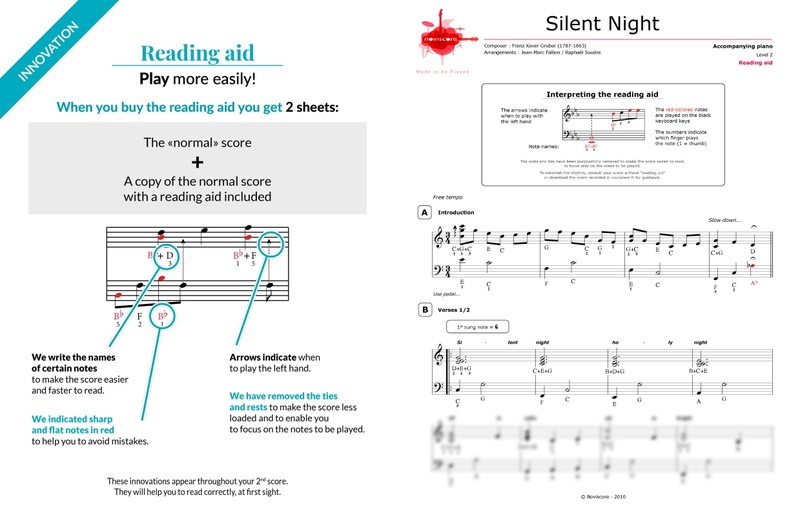 If you prefer to sing along, then try our Level 2 piano accompaniment version, available with reading aid if required.